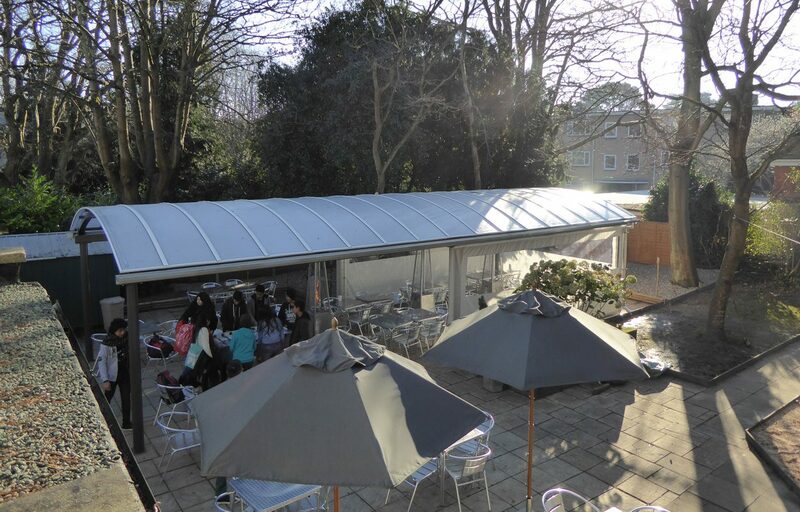 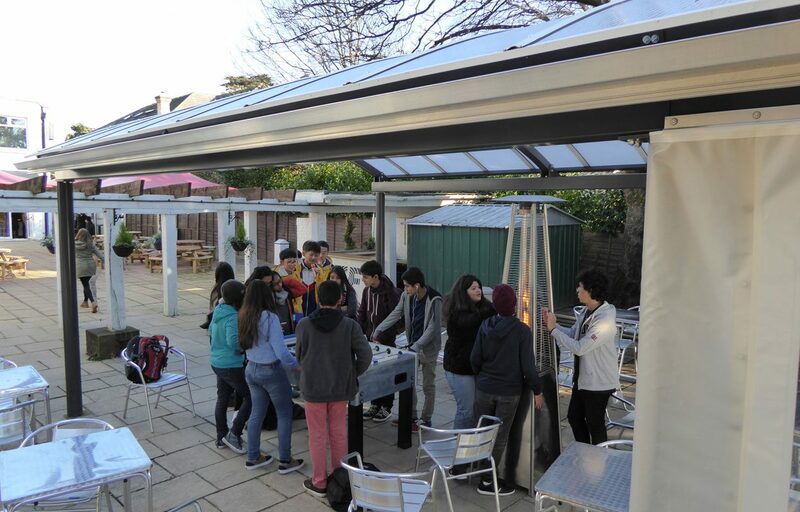 A bespoke steel canopy was constructed for EF Language school in Bournemouth. 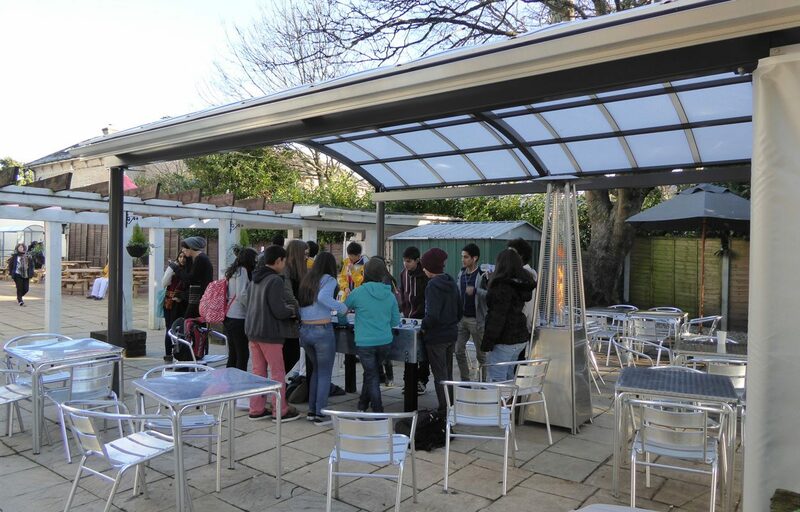 The structure is 12m in length and allows international students to enjoy socialising and games in the turbulent British weather. 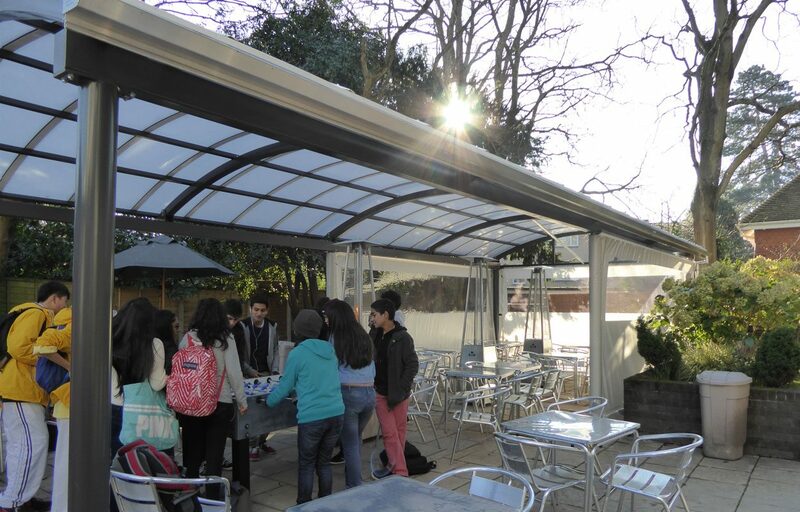 The canopy is finished in an RAL 7022 with a polycarbonate roofing solution. 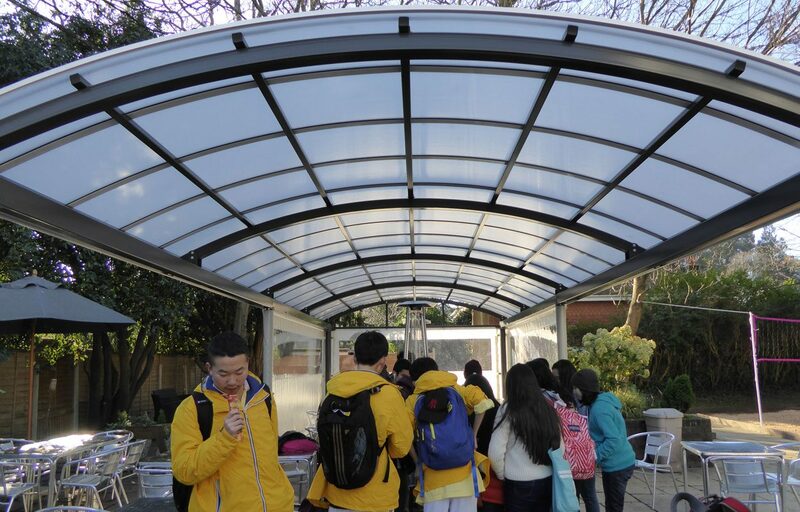 The structure also utilises an Opal 60 curtain walling with a clear vision panel to ensure extra protection at one end of the canopy.